Back in Oklahoma a few, short weeks ago I spent a whopping 8 nights on the sofa in my sister’s living room. She’s got a generously sized 4 bedroom house but when you’ve got kids + guests somebody’s got to surf the sofa and I pulled the short straw. I’m not being melodramatic when I say that I was so tired. Seriously, SO TIRED. 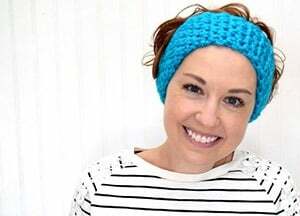 I couldn’t go to bed until everybody else was done in the living room, sometimes around 1 in the morning and then, around 5 o’clock my brother-in-law would wake up and start tooling around the house. I’m super sensitive to light and sound and when somebody’s on the recliner playing games on a tablet with the lights on, well, there was no more sleep going to happen for me. One morning my sister calls my dad and straight up asks him to put me up in a hotel. After paying for hotels for over 22 nights in the recent weeks I was DONE with spending money on accommodations but, luckily, my mom got me set up in a lovely room that, unfortunately had a terribly molded air conditioner that just reeked but it wasn’t a sofa so huzzah! When Momma checked me in and dropped me off I made a bee-line to take a shower and as I took in the steam I realized just how sore my body was from sleeping all wonky on a narrow sofa. And in that shower on my sore, achy muscles I used this little massage bar that came with the room because I totally forgot to bring any of my own toiletries from my sister’s house. 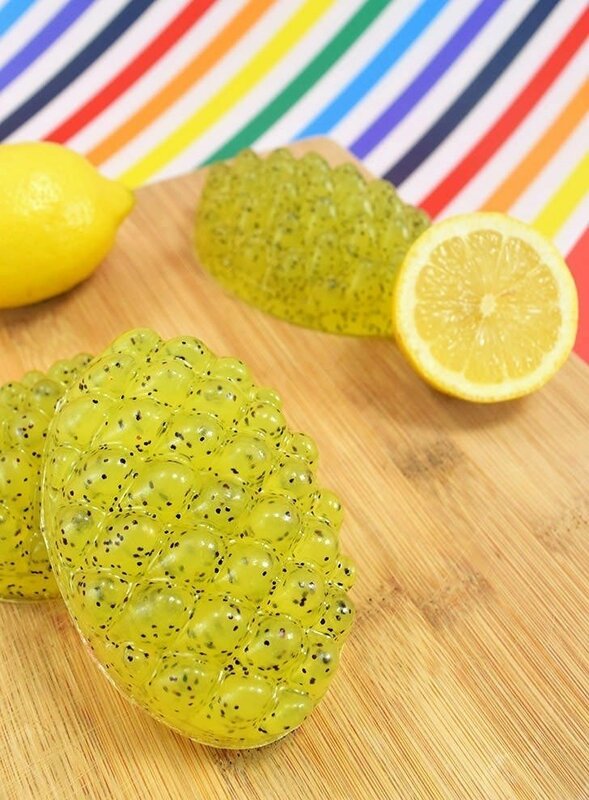 But that little massage bar… Oh. My. Ever-lovin’. Word. It felt so amazing and I knew that massage soap bars were going to make it in my every day life back home. 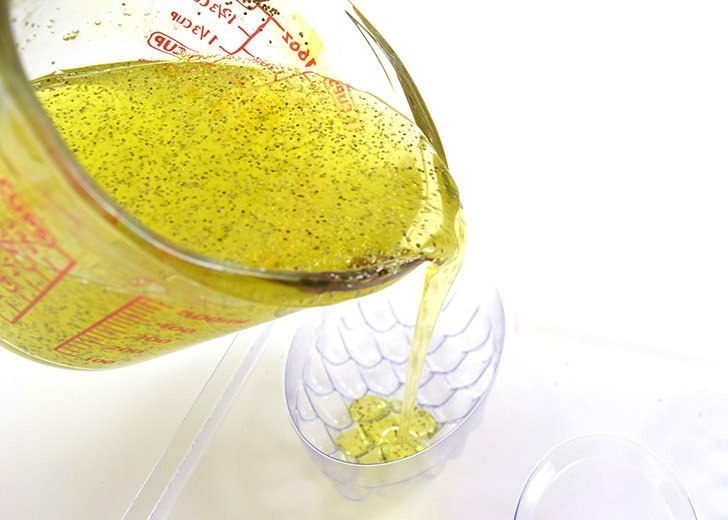 To have pretty bars of soap where the poppy seeds float throughout each you’ll need a soap base capable of suspension. 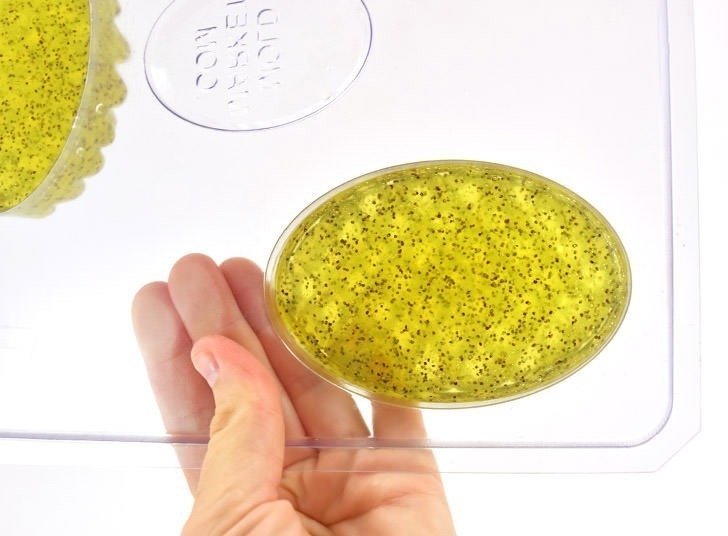 Look on the package or item description before you purchase as it should state if it will work otherwise you’ll have a layer of seeds just along the bottom of the mold. 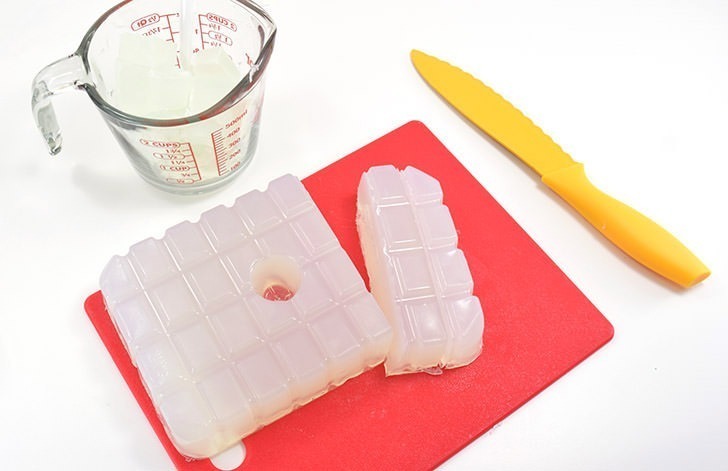 Cube the appropriate amount of soap base to fill your massage bar mold. 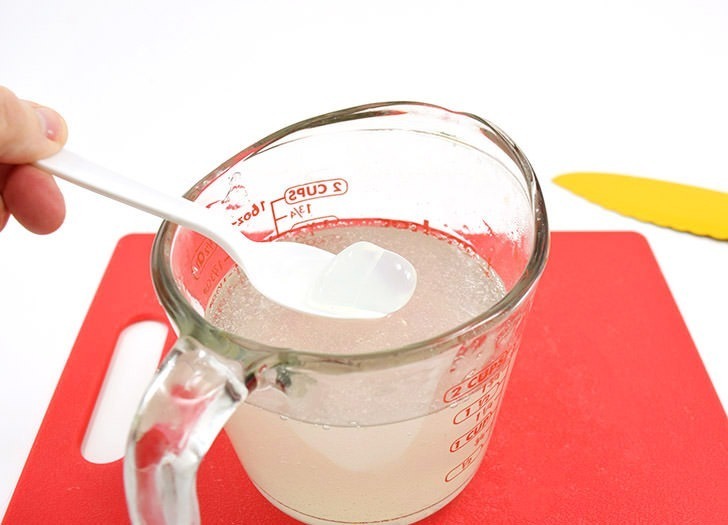 Melt in a glass measuring cup on 30 second increments in the microwave. 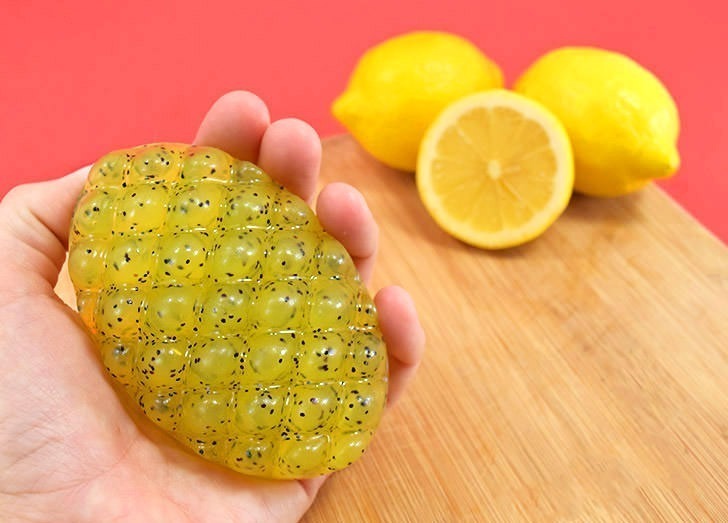 At a certain point most of your soap will be melted but you’ll have these blobs that haven’t quite made it. Rather than continuing to zap the stuff over and over, once you get to this point you can just stir the base so that the heat from the melted business finished up those chunks. add yellow colorant to the batch. 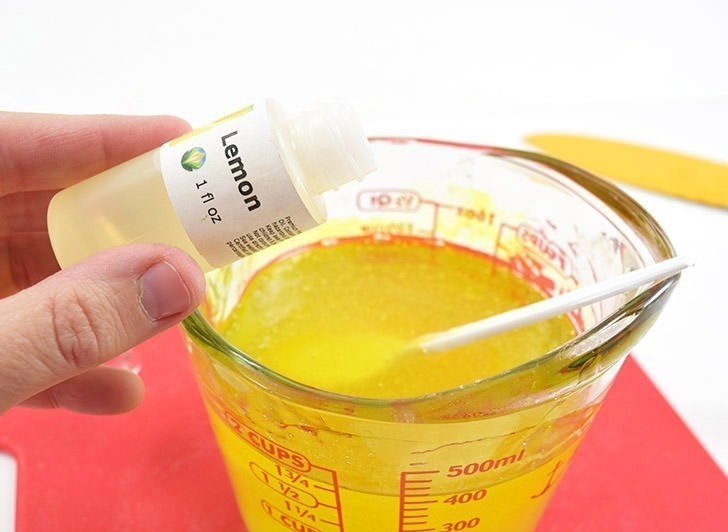 Allow the base to cool just a little bit and add a healthy splash of lemon scented oil to the mix. If you’re wondering why we wait a bit, the heat has a tendency to squelch the power of the scent meaning you have to use more for a well scented bar, in the end. That’s just wasteful so if you wait so that the soap is still melted, but not crazy hot you’ll save some cha-ching! 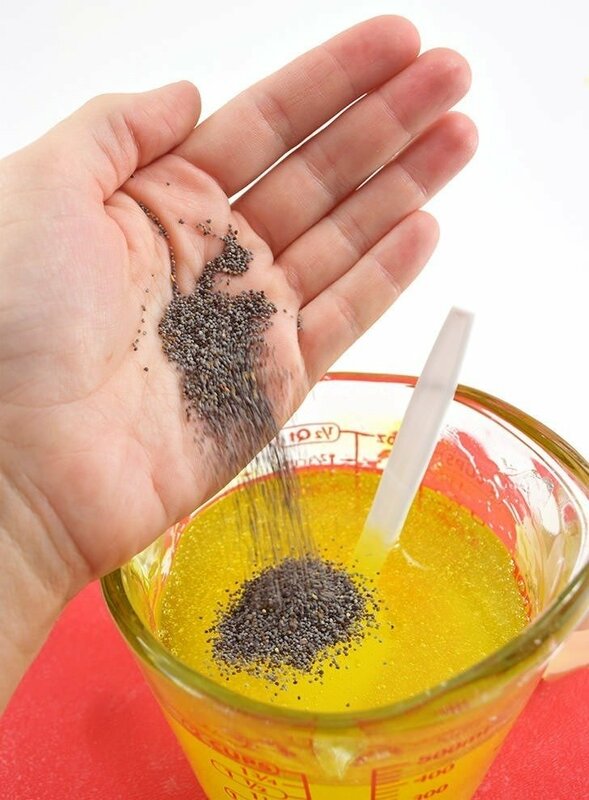 Pour your poppy seeds into the mix and stir to incorporate well. Pour your soap into your molds taking care to try and keep the soap within the shapes and not spilling over the sides. 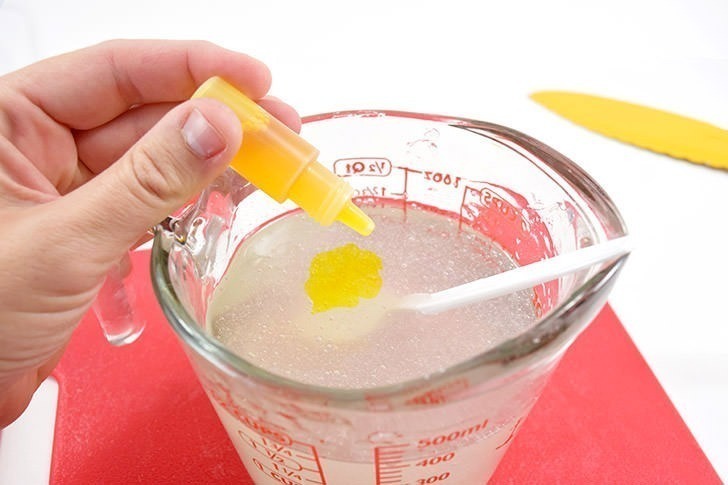 Spray with rubbing alcohol to remove any unsightly foam or bubbles. Since my kitchen was occupied I let my soaps set up at room temperature which works quite well but is very slow. 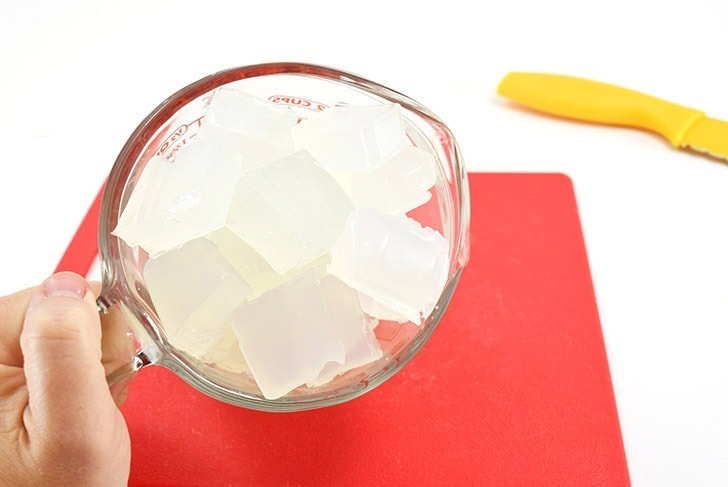 To speed things up you can pop the soaps in the refrigerator and yank them back out in 5-15 minutes. Once fully set remove the soaps from the molds. 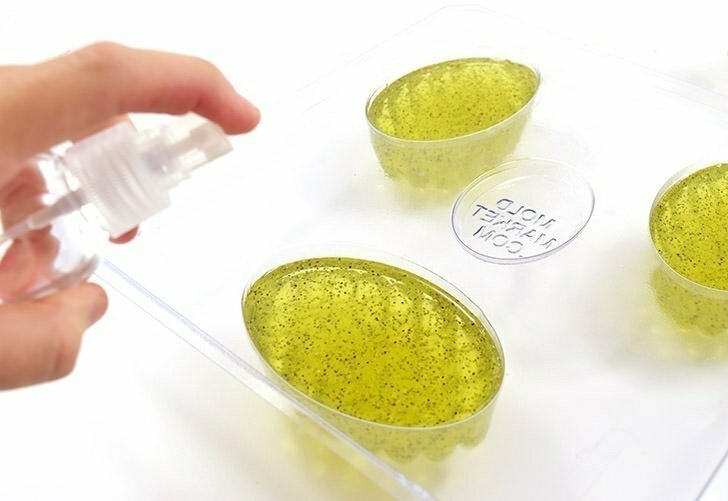 If you find it difficult, place the mold into the freezer for just a few minutes and then smack it on a solid surface and watch those suckers pop right out! 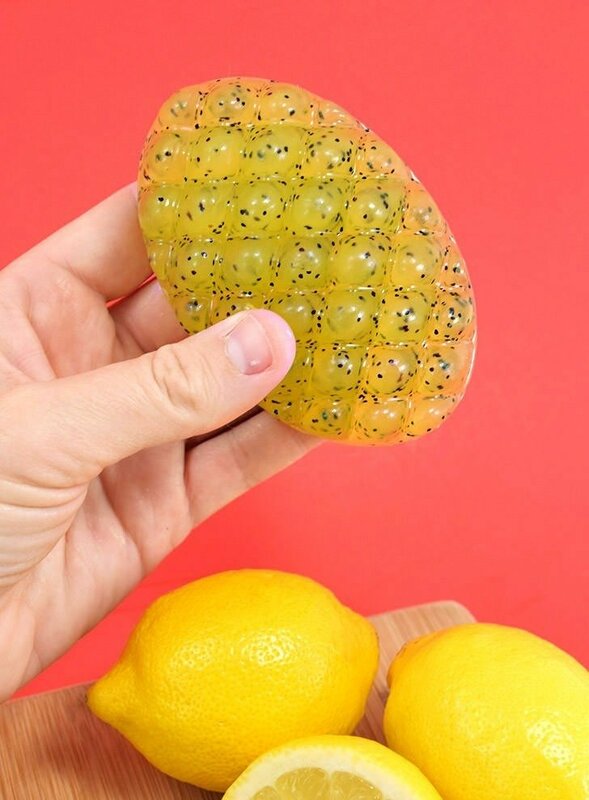 Now isn’t that some lovely soap? 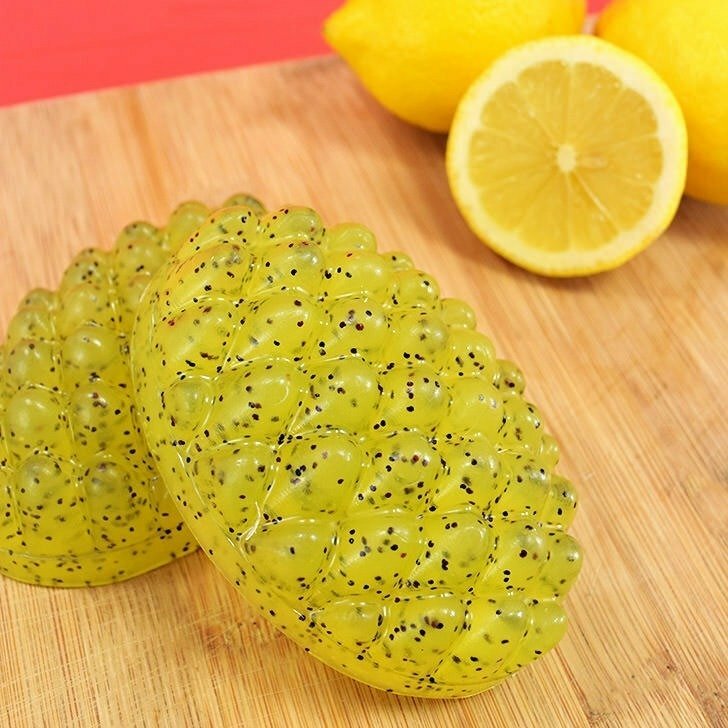 While the poppy seeds aren’t technically necessary I just love the look they give my massage bars and, heck, they just might add a bit of massage boosting power to the bars in spite of their tiny size! 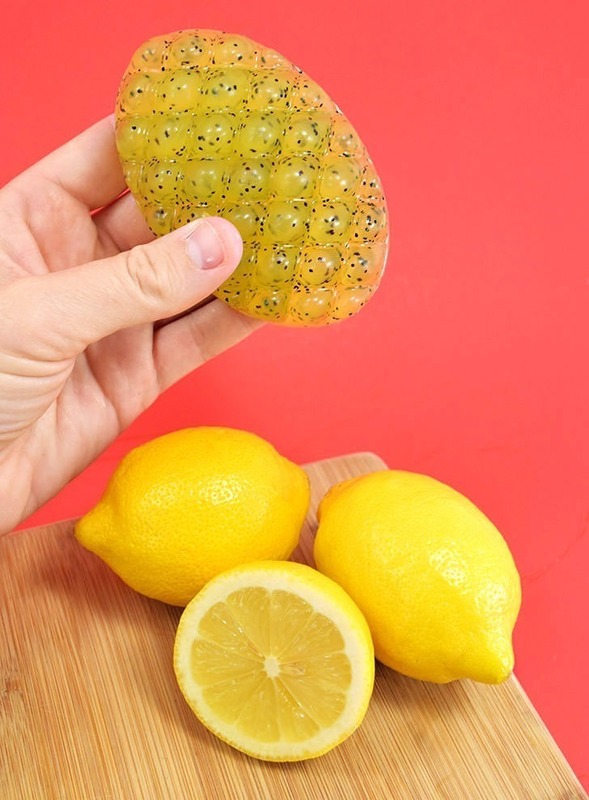 Whether they do or don’t help, one thing’s for sure… your aching muscles are going to thank the dickens out of you once you start rubbing your homemade lemon poppy seed massage soap bars into them! And your soap bars are so much more cute!